This has been such a snowy and windy winter. All I want to do is eat warm comfort food and drink red wine. 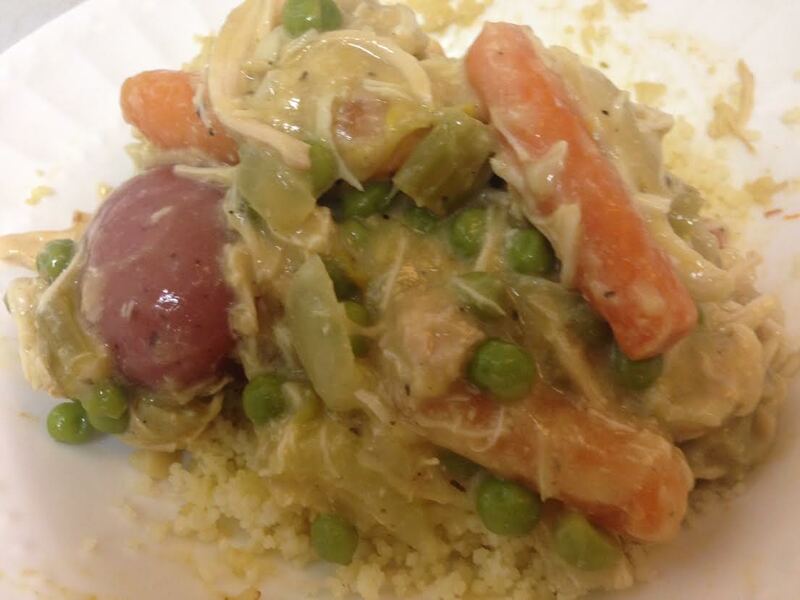 This recipe was inspired from chicken pot pie, I just decided to serve it over couscous instead of using a pie. I put all of the ingredients into the slow cooker in the morning and put it on low and by the time I got home dinner was ready! LOVE THAT! 1.) 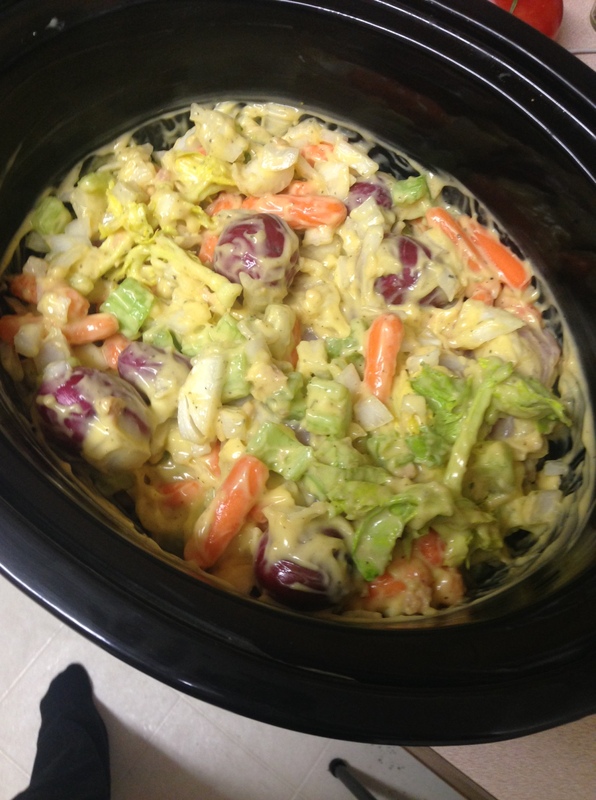 Place all of the ingredients (except peas and spinach ) in the slow cooker. Cook on low for 7 hours. 3.) Cook the brown rice or couscous according to package directions and serve the mixture over. Hi Taylor, I enjoy all of your recipes and notice you eat very healthy. Take a look at the menu where I work now. I’m on a serious diet and excercising to fit the bill.